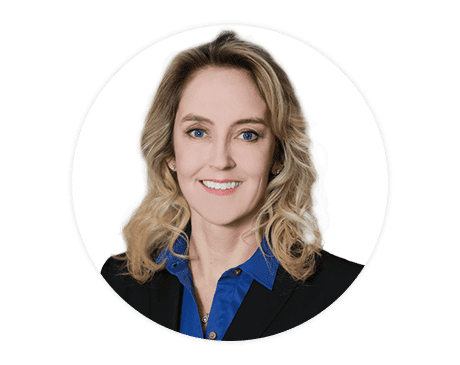 Alicia Sanderson, MD, is a double board-certified otolaryngologist and facial plastic and reconstructive surgeon practicing out of Weight Loss and Vitality. She proudly offers aesthetics treatments to the communities of Alexandria, Virginia, and Washington, DC. Dr. Sanderson graduated from The University of New Hampshire in Durham where she received her bachelor’s degree in zoology with the highest distinction. She continued her education at the University of Massachusetts Medical School in Worcester. Afterward, she gained acceptance into the prestigious otolaryngology residency program at the Naval Medical Center in San Diego, California. Lastly, she completed her fellowship in facial plastic and reconstructive surgery at the University of California, Irvine. Having over 20 years of surgical experience, Dr. Sanderson continues to stay up-to-date with the latest advances and is always on a quest for more knowledge. In addition to her surgical practice, she served in the United States Navy for 20 years in a variety of medical roles. From 2000-2002, she supported operations for Iraqi Freedom by serving as the General Medical Officer for Marine Corps in Miramar, California. Dr. Sanderson’s reputation as one of the world’s best physician’s allowed her the opportunity of being handpicked to be the otolaryngology physician consultant to the White House serving from 2013-2018. Additionally, she was named White House consultant of the year for 2017. In her free time, Dr. Sanderson enjoys competing in sprint triathlons and marathons. Her fun fact is that she’s completed seven full marathons including the Boston marathon. Dr. Sanderson prides herself in spending as much time as needed educating and answering her patient’s questions. In turn, this helps her patients feel welcomed and understood at Weight Loss and Vitality.